For 28 years now, I’ve taken care of everything on my own. I lost my husband in a terrible road accident when my son was only 6-years-old. Ever since then, it has been just the two of us. Life hasn’t been easy, but I’ve tried to make the best of it with whatever little I had. Six years ago, I was diagnosed with a serious heart condition and risked complete heart failure. I had a surgery and they inserted a device into my body that makes my heart work properly. Now I had surgery again because the device got infected, but I need to stay in the hospital for longer to get better. I haven’t been able to go to work, and I don’t have any savings left. I don’t know how I will get treatment anymore. 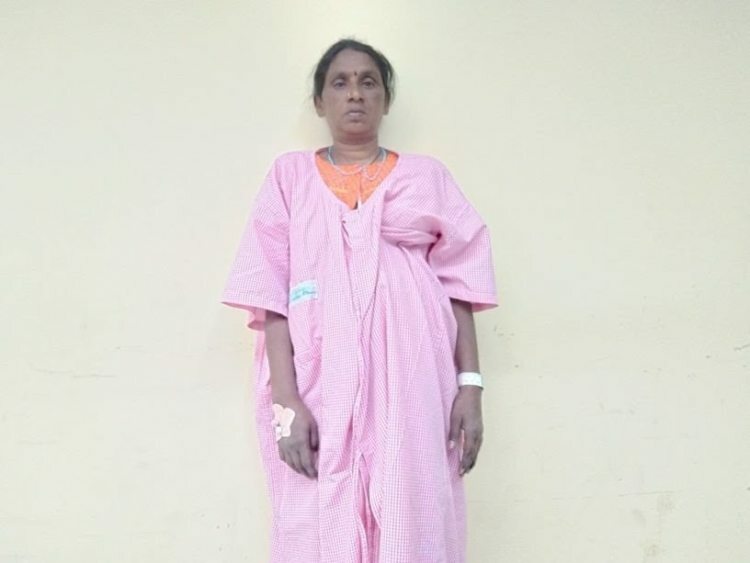 Selvi (52) was diagnosed with heart failure 6 years ago. She had surgery to insert an implantable cardiac resynchronization therapy defibrillator that detects irregularities in the heart and corrects them with electrical impulses. The device lowers the risk of life-threatening effects of heart failure. A few weeks ago, the doctors told me that the machine was infected and I needed another surgery, otherwise, I wouldn’t make it. I was scared but I knew I had to somehow get the surgery. This machine is the only thing keeping me alive. Despite heart failure, I continued to work even after my first surgery 6 years ago, but I haven’t been able to work for five months now because of my heart condition. Now that my second surgery was done on 6 February, I need more treatment before I get back on my feet again. I had never expected life to turn out this way. When my husband died, I was lost. It took me a while to get back on my feet, but I did it nevertheless. I had to stay strong for my son. He was only 6 years then. I started doing whatever little work I got so that we could at least get food for the day. We barely had anything, but life was going on and we were grateful to be alive and healthy. In 2004, we went through a difficult time again. My son was depressed and tried to commit suicide. I never saw it coming. 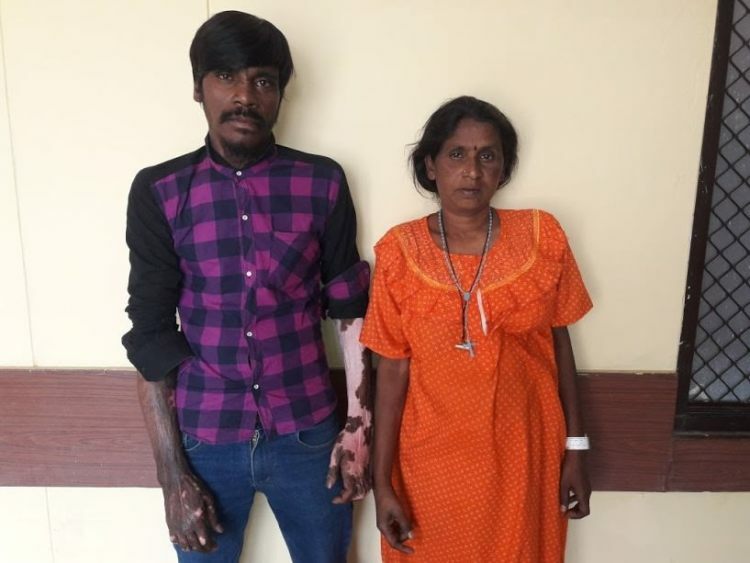 In the mishap, he completely burnt his hands. 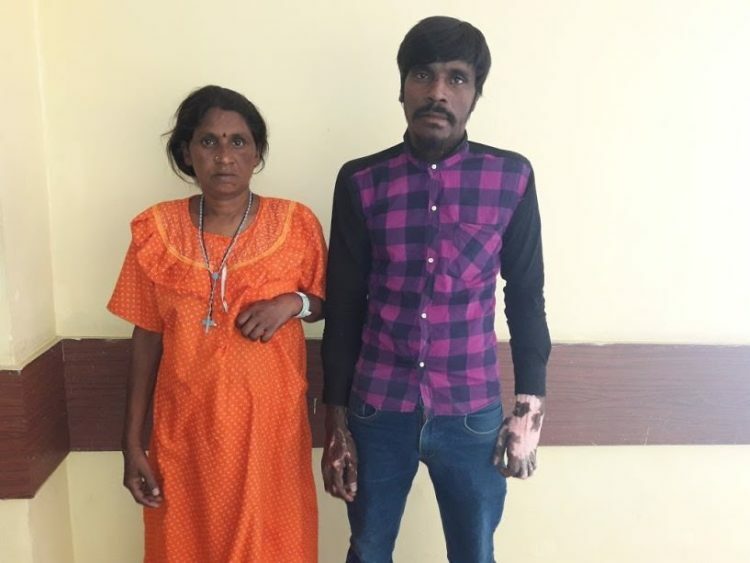 Now he can’t even lift his left hand, so work is difficult for him to come by. I have single-handedly brought him up and I knew I had to do everything to make sure my son was alright. I started working as part of housekeeping in Jain Hospital after that. I didn’t have anyone supporting me then and don’t have anyone but my son now. Selvi hasn’t been able to go to work in 5 months now. She is the sole bread-winner of the family, and despite her heart condition, continued to work hard to make a living. Now, Selvi has nothing left and no one to support her. I have six sisters, but no one has come to see me in the hospital in the 15 days that I’ve been here. They don’t even pick up my calls anymore, let alone call to find out if I’m okay. I don’t know what I’ve done to deserve this. I thought the family was supposed to stick together through difficult times. I need help getting up, sitting down and even walking sometimes, my son has to help with everything, but because of his hand, he finds it difficult. I’ve somehow managed to pay for my medicals bills till now, without anyone’s help, but I can’t go on any longer like this. I have nothing left. 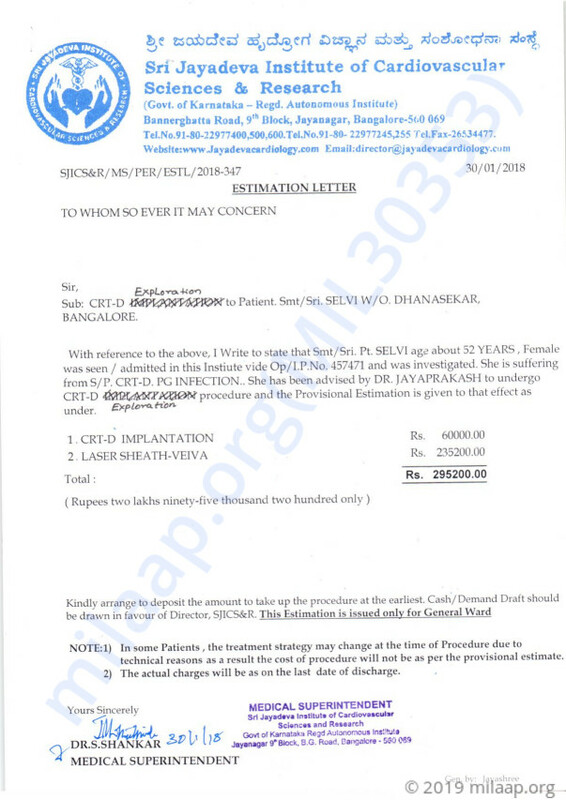 Selvi needs almost 3 lakhs to stay in the hospital for further medical attention after her heart surgery. She is getting better, but without further treatment, Selvi might not make it. 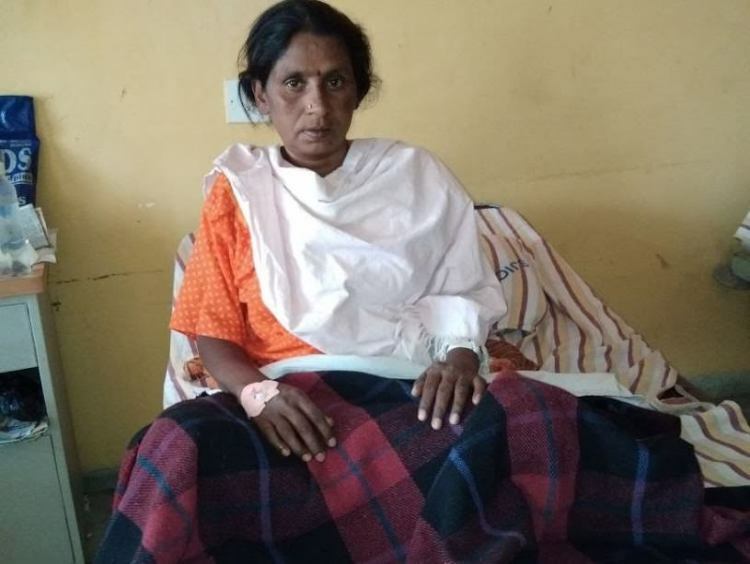 She has worked hard all her life to provide for her son and herself without anyone’s help, but now she needs someone to lend her a helping hand to help save her life. Your support will ensure that Selvi gets the treatment she needs.